Hey lovelies! I hope you guys are here for this embroidery trend like I am. The flowers added a cute, flirty touch to this black denim skirt and I love it! Every time I go to any store right now I see embroidery on everything. Jackets, shirts, jeans, shorts, shoes, seriously everything. They are actually selling patches so you can iron on your own patches and design your clothes however you want. The perfect way to DIY your own embroidery pieces. 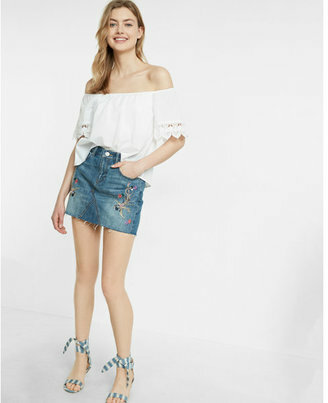 I purchased this skirt from Top Shop, but I saw some really cute skirts just like this one from Forever 21. 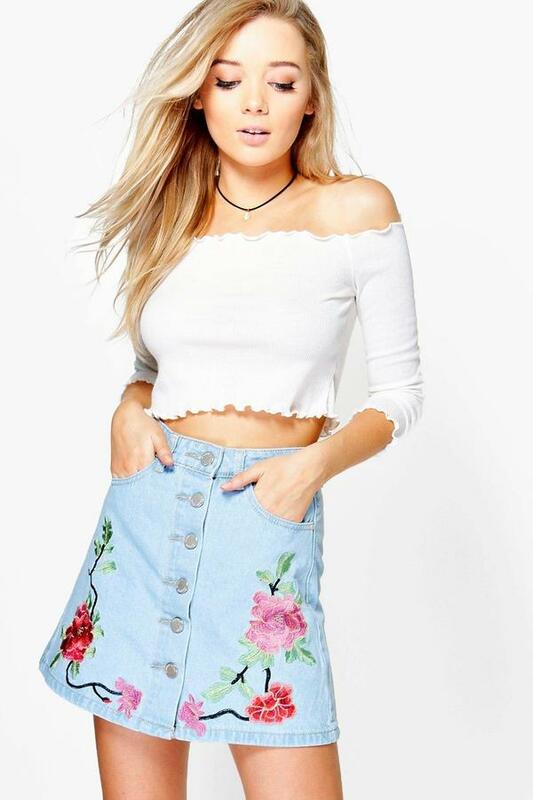 If you are interested in this skirt, I linked the item and a few similar ones below, so scroll to the bottom to shop. Happy Thursday everyone and end this weekend off a bang!